Apple leaves it opaque how to extract the movie version of an iOS Live Photos. As I understand it, a Live Photos image has a .jpeg file and a .mov file: the still JPEG shown normally and the .mov file “activated” when viewing the live portion (either on the iPhone 6s or in photos). She took a number of Live Photos on a trip, but discovered after importing them and deleting them she couldn’t figure out how to get access to the movie files. Apple makes it both easy and opaque. When you import a Live Photos into Photos for OS X, the app tags them: you can see the Live Photos icon in the lower-left corner of a full preview of image alongside the text label “LIVE”, and the icon also appears if you view information about the photo (Windows > Info). Hover over the LIVE label when viewing the full photo, and it plays the associated movie. At left, the Live Photos label on an image; at right, the Info palette’s petite indicator. However, Photos doesn’t give any indication a .mov file exists. The Info palette only says it’s a JPEG; if you select File > Export > Export [X] Photo(s), it exports a JPEG. It’s only when you Option-drag an image into the Finder or select File > Export > Export Unmodified Original For [X] Photo(s) are both the unmodified JPEG and the associated MOV retrieved. 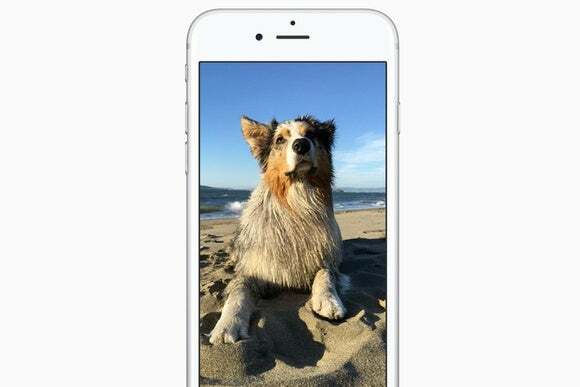 You can also use the Image Capture app with an iPhone connected via USB, select the iPhone, choose Live Photos images, and then import them, and both the JPEG and MOV for each image are transferred. iCloud.com only shows the JPEG version; there’s way no way to view a Live Photos or export a MOV, but it does retain those files and sync them among iOS and OS X.